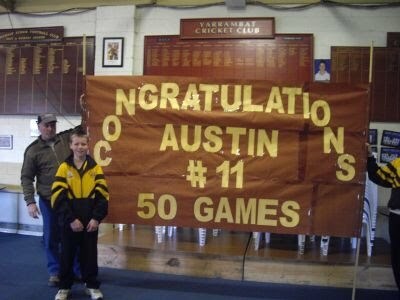 Today it was Austin's 50th game for Yarrambat. So it was banner time again! It was very windy but the banners managed to hold together until the boys ran through them. 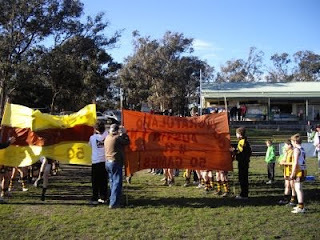 There were another 4 team mates also playing their 50th, so the boys ran through in two lots. It was very hard to see when Austin would run through and I clicked too soon! The camera was too slow to get a second picture. good win in terrible conditions (cold, icy wind!). Congratulations Austin on your 50th game. Bags, Bags and more Bags (or are they?)! I haven't posted for a while but I have managed to get in some sewing. 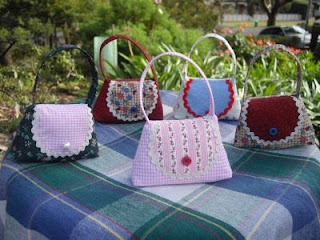 I've been busy making these 5 handbags. Or are they handbags? They are actually lavender filled handbags for your wardrobe or drawers. 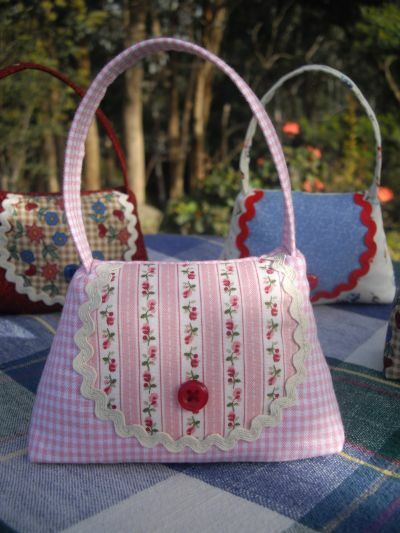 The pattern is by Nicole Mallalieu Design and was in a recent issue of Homespun (No. 85). They were fun and quick to make. The hardest part was finding the dried lavender to put into them! 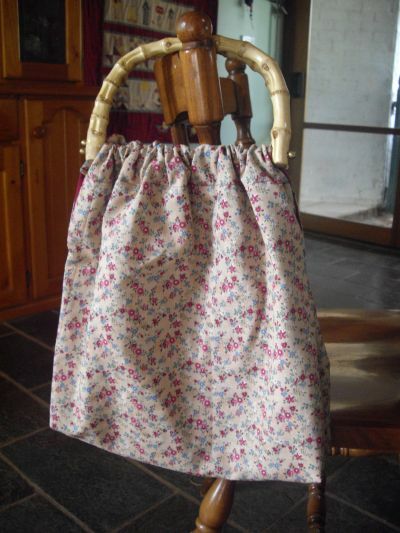 I made this shopping bag for my substitute mother (a long standing story) Kath, for her birthday. It's a really easy pattern that I got of Leanne Beasley's blog and it's a very useful, everyday kind of bag.